Our Mission is to empower our clients with the knowledge and resources to enjoy clarity and confidence in their long term financial decisions as they build, manage, protect and preserve wealth. We are ordinary people living in extraordinary times, confronted with extraordinary demands and responsibilities. We are often faced with situational priorities that prevent us from effectively stepping back and taking a proper look at where we stand relative to where we want to be. Regardless of their profession, successful people are always busy because they usually have the ability to "hyper-task" effectively and manage an enormous amount of competing, multidisciplinary tasks. They are consumed by the responsibility of their personal and professional success and have a tendency to neglect the very reason for which they work so hard: to enjoy and provide lifelong financial security and peace of mind for themselves and their families. 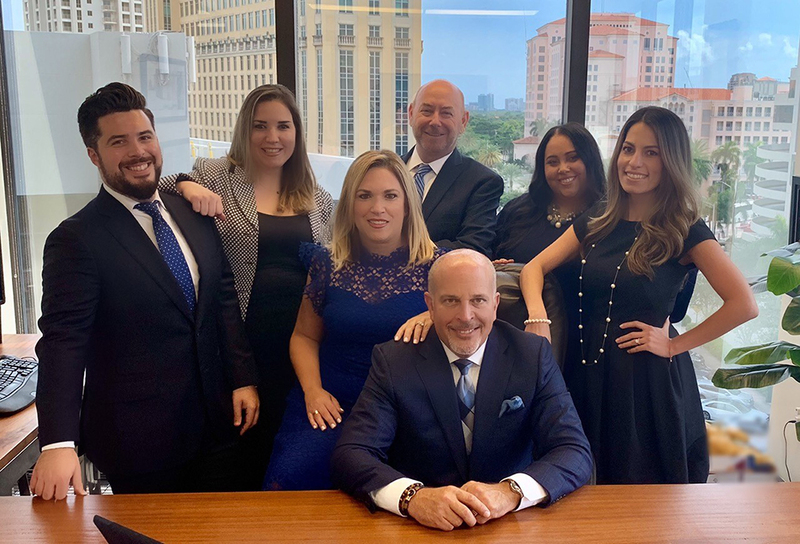 Robert A. Nuño's proactive approach employs the use of investment and insurance products in support of his clients' business and estate goals. He and his support staff serve an elite clientele of professionals, closely-held businesses, and affluent individuals and families throughout the United States. He specializes in working in cooperation with specialists and the clients' professional advisors to offer solutions that help fund their investment, retirement, college education, business succession, executive benefits, and estate preservation goals. Robert Nuño says that he is dedicated to "simplifying the complexities of his clients' financial concerns". Because he begins with the end in mind, Robert helps his clients turn vague generalities into meaningful specifics in developing innovative solutions that help them achieve and realize their goals. By analyzing clients' needs through in-depth fact-finding and needs analysis, followed by implementing product solutions and conducting periodic reviews, Robert and his staff focus on serving each client's unique financial needs as their lives progressively evolve. 1. They value a relationship with an expert who can understand them, help them quantify their decisions, coordinate their actions, and educate them on the best options to align their actions with their intentions. They want someone to support them, and more importantly, stays in touch as their situation evolves, personally and professionally. 2. They expect a sensible methodology, and a strategic process, that helps them identify and quantify needs, values, goals, and solutions, as well as, keeps them on track. 3. They want to know that there is a dependable expert support team in place as well as specialists and professionals they can call on when needed. 4. They respect quality and want to employ world class products to fulfill their financial needs and goals, whether for accumulation and distribution of wealth, protection of their family or business interests, or the preservation of their wealth and legacy. Robert values the rewards of his clients' efforts and sacrifice and focuses on helping them keep, enjoy, and transfer their legacy. Life never stands still. It's always changing direction and presenting us with new opportunities. That's why your financial security plan has to be flexible. As life changes, so do your circumstances, needs, and goals. I make it my business to know my clients and their families well. I think it's important for me to understand not just the state of their finances, but also their personal goals and preferences. Working together, we will be able to identify the aspects that most need attention, now and for the future. It's important to keep up with the significant changes in life. Let me help you achieve a future with financial security.